To access the workspace Look & Feel, navigate to a workspace and click Settings > Look & Feel. In this area, you can customize the workspace design. 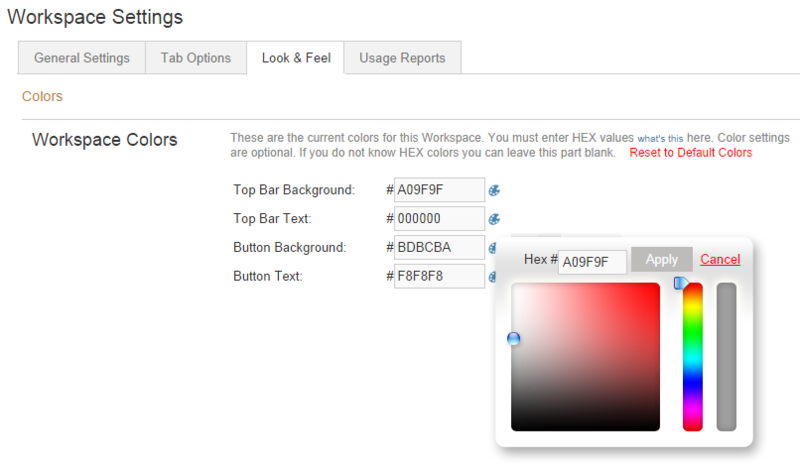 In the Colors area of workspace settings, a predetermined color scheme or custom palette can be selected for the workspace. Colors can be defined for buttons, the top navigation bar, as well as the corresponding text. To choose a color, simply click on the Color Wheel as shown below.